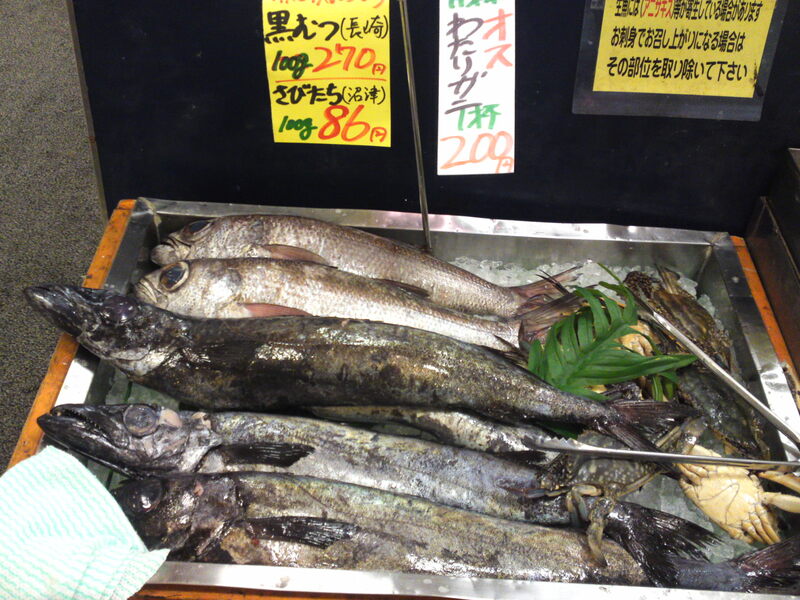 Local Shizuoka Fish & Seafood at Parche Fish Market in Shizuoka City: including Bermuda Fish! 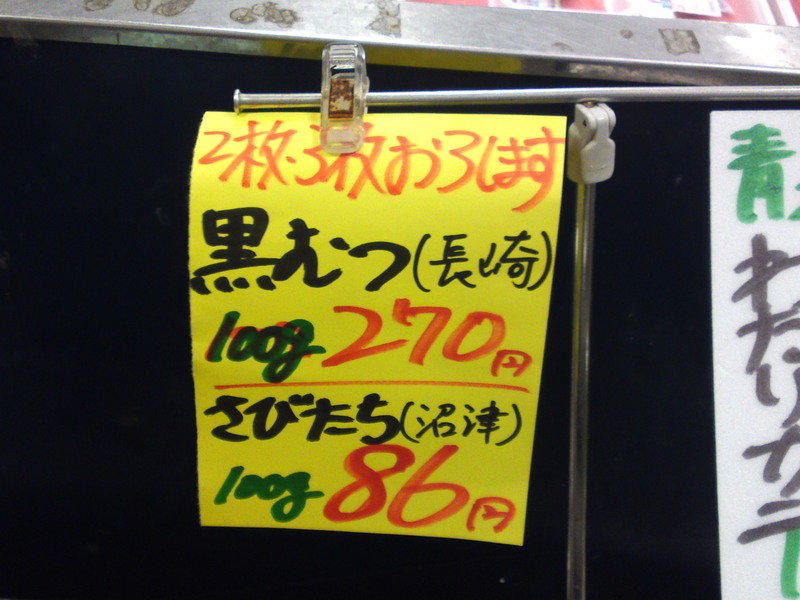 With all the persisting heat slamming us every day I was wondering what fish could reach us at Parch Supermarket inside Shizuoka JR Station. And I did find manage to some unusual specimens! I was particularly attracted by these dark fish! 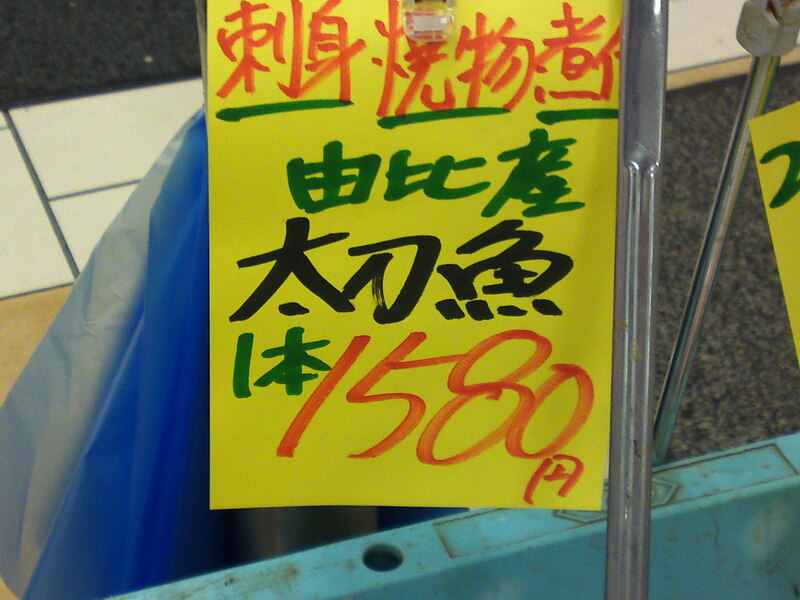 The one at the top from Nagasaki in Kyushu Prefecture was quite expensive but the one from Numazu harbor was reasonable! 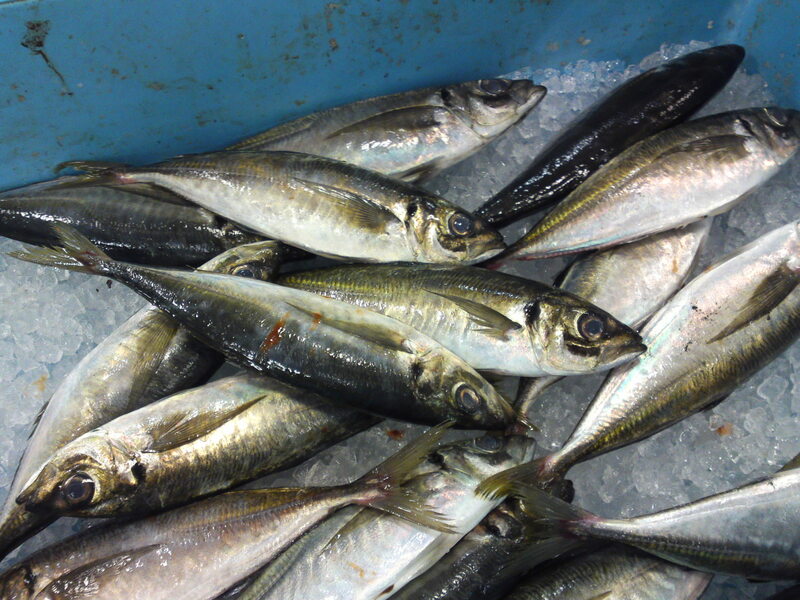 Kuromutsu/黒鱫、黒鯥: Black gnomefish from Nagasaki! 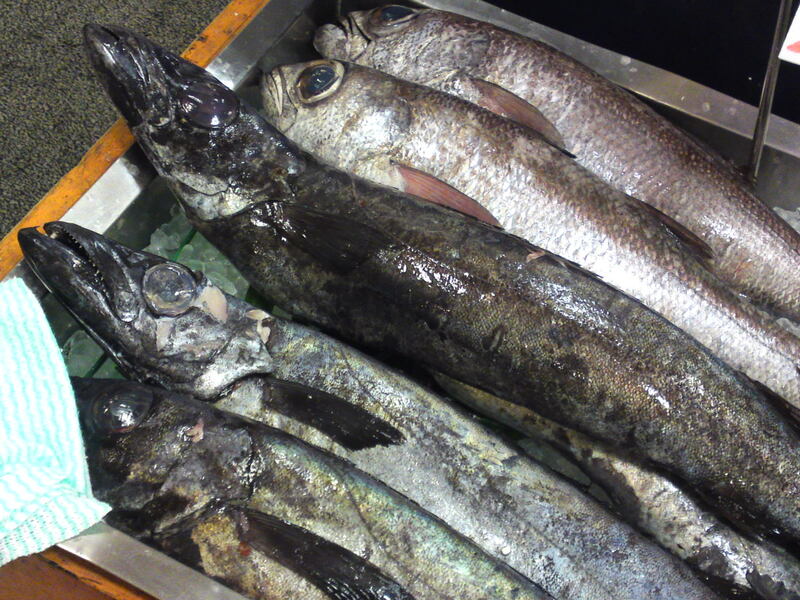 Sabidachi/さびだち(also called Kuroshibikamasu/黒シビ梭魚): snake mackerel, Bermuda fish from Numazu harbor! 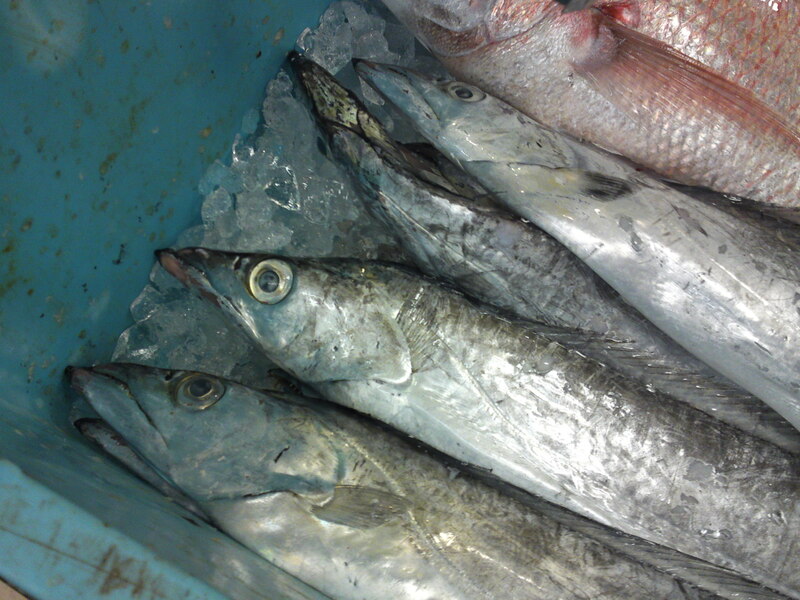 It is a variety of barracuda! 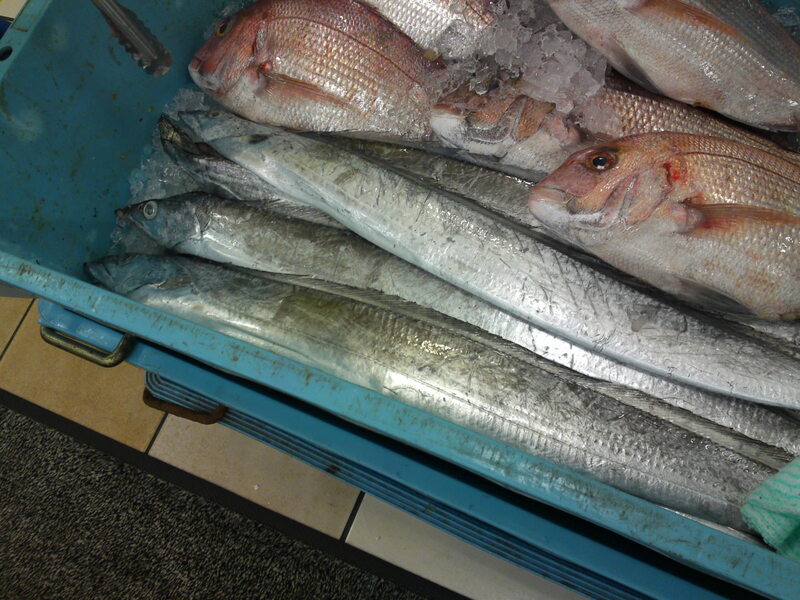 I was interested in the long silvery one from Yui harbor, Shimizu Ku, Shizuoka City! 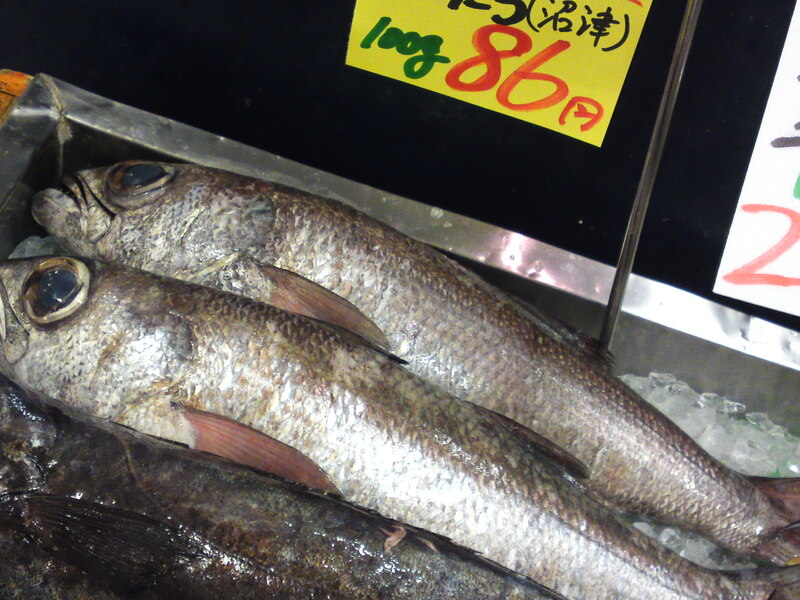 Tachiuo/太刀魚、魛: scabbard fish, cutlass fish! 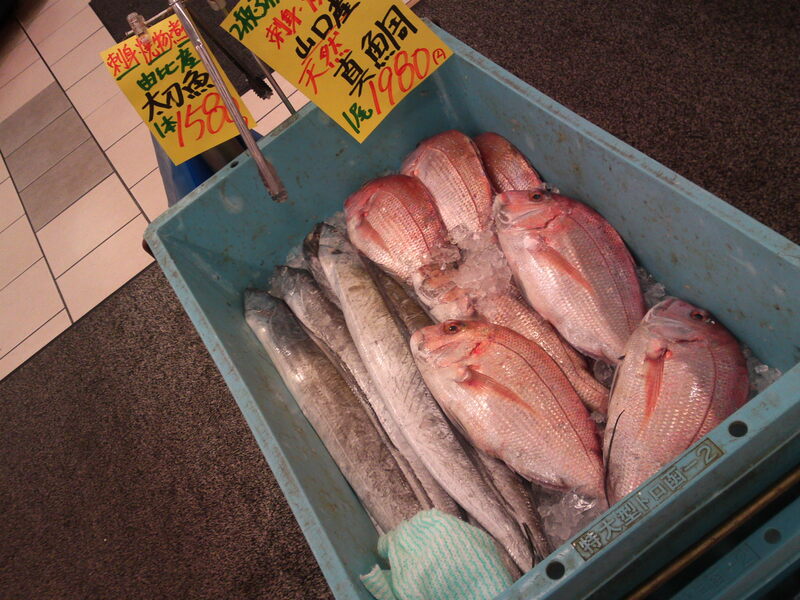 Typical fish from Shozuoka over there! 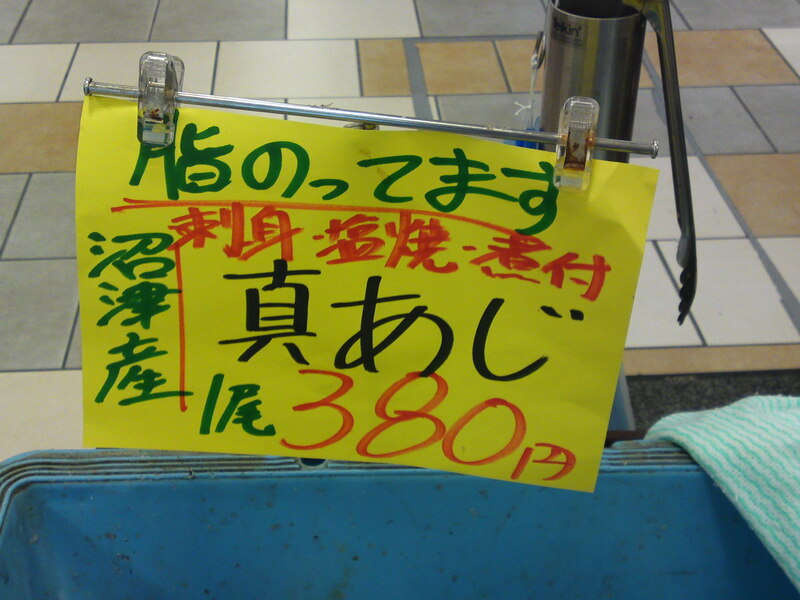 Peek season in Numazu City! 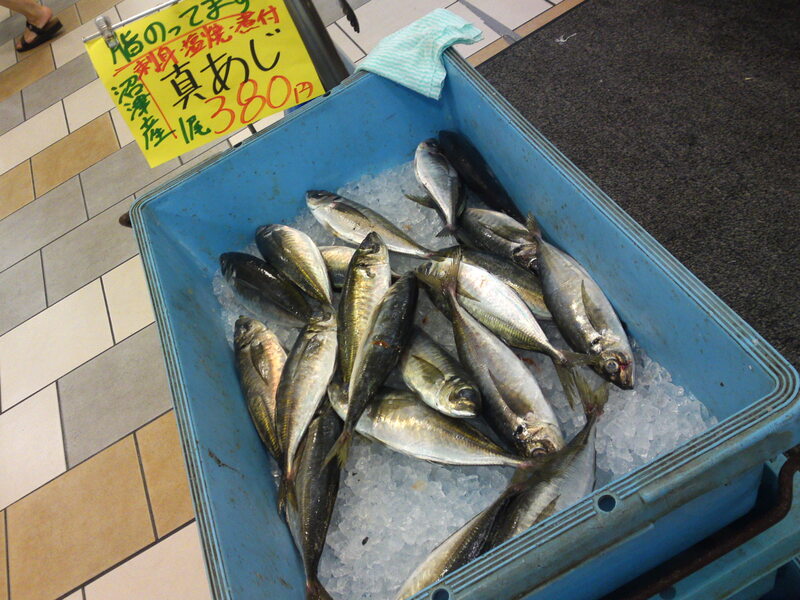 Previous PostLocal Shizuoka Fish & Seafood at Parche Fish market in Shizuoka City: Including Splendid Alfonsino!Next PostLocal Shizuoka Fish & Seafood at Parche Fish Market in Shizuoka City: including Shirasu/Sardine Whiting!